Stroke is a dangerous medical condition which is becoming more common and affecting more and more people under 40. Most people don’t know what signs to look out for in order to detect a stroke, since the condition is still less common than a heart attack. However, the following tips will show you how to prevent it and preserve the health of your brain. Overweight people have increased risk of heart diseases and stroke. Your ideal weight depends on your bone structure, metabolism and activity, but regular physical exercise is a must for maintaining healthy weight. Excessive drinking is a harmful behavior – a glass of red wine occasionally is beneficial, but overdoing it will create more problems and increase the risk of stroke. 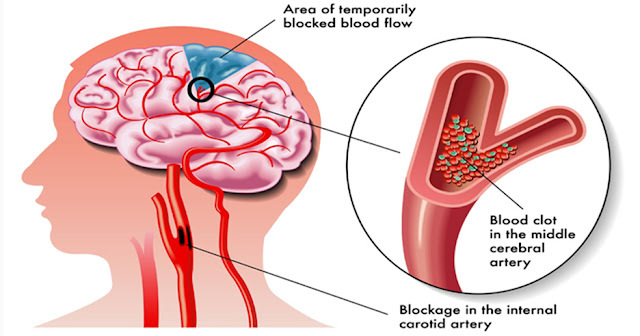 Just like high blood pressure, high blood sugar levels can also increase the risk of stroke. Make sure your monitor your blood sugar levels if you‘re suffering from diabetes which will help you determine what lifestyle changes you must do to keep them low. Exercise and a low sugar diet are some of the best ways to keep your blood sugar levels healthy. Baby aspirin can reduce the risk of stroke if you’re having problems with high cholesterol or heart diseases. However, it also causes some side-effects, so make sure you consult your doctor before making changes to your meds. This is obvious – keeping your blood pressure low is crucial for prevention of stroke. This can be done by a few lifestyle changes such as regular exercise, quitting smoking and avoiding high cholesterol foods. Smoking is a bad habit, just like alcohol. Besides, there’s no reason why you should be smoking, so quit this awful habit today and you will soon see big improvements in your health. Irregular heartbeat can cause irregular blood flow and increase the risk of stroke. This causes symptoms such as shortness of breath and heart rate increase due to atrial fibrillation, a problem which must be addressed sooner rather than later.